Some years ago a psychoanalyst friend introduced me to the work of the well-known pediatrician D. W. Winnicott, who wrote, among other things, about the concept of the “good-enough mother” who was better for all practical and spiritual purposes than the elusively ideal “perfect mother.” The former was who she was, loved her kids but didn’t always get it right, and somehow made it through with them to their adulthoods with everyone doing the best they could at the time. The latter strived for a higher level of exactness and correctness, but often lost the war in the service of battle after battle. In her constant efforts to do a flawless job she did, overall, a terrible job. The perfect (to quote an old cliché) was the enemy of the good. This applies to our writing and then some. It will never be perfect (whatever that is), and our efforts to perfect our writing often lead to self-criticism, doubt of perfectly good passages, and a questioning of the whole enterprise when we as authors grow sick of it, even though it will be fresh to readers. A common feeling among authors pulling their newly published books from their boxes for the first time is “I still want to change it.” How much better the good-enough model where we do what we can, edit appropriately, and then blessedly let it go. 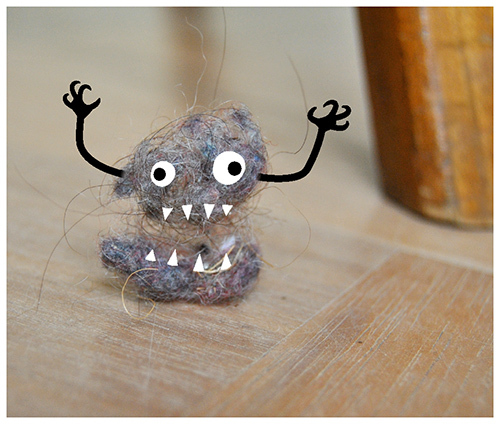 To illustrate this I offer something related yet somewhat different, Christoph Niemann’s cute blog in today’s New York Times about dust bunnies and other enemies of perfectly kept houses. I’m sure it will be blogged about everywhere, it’s that spot-on and that comforting to those of us who will never, even on our best days, be absolutely perfect, and who also think that’s fine because it makes us more relatable.